Published on 31 May 2013. This week, my chosen Weekend Read highlights the logistical importance of the humble shipping container. 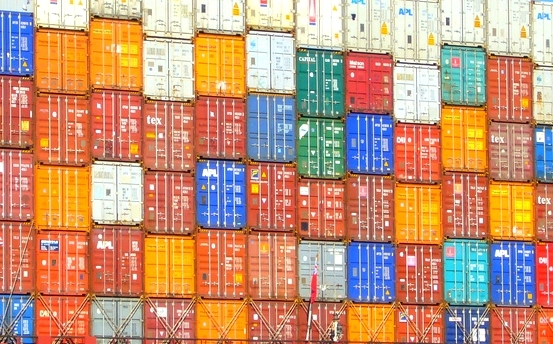 This short article in The Economist describes the profound impact that the introduction of the shipping container on global trade. It serves as a reminder of the innovative logistical thinking which keeps our world running from day to day, but which rarely reaches the conscious mind. The picture at the top of this post was uploaded to Flickr by Jim Bahn, and has been modified and used under Creative Commons licence. This 2,025th post was filed under: Weekend Reads, Logistics, The Economist.